A central part of Amazon’s internet connected smart speaker, the Amazon Echo, is that it’s constantly listening for you to say the magic words to wake it from its slumber. Not unsurprisingly this has generated some privacy concerns, with users worried that the data collected by the speaker could prove to be a treasure trove for hackers, or law enforcement officers. Now the latter case is being tested to its limits, and Amazon is fighting pretty hard to protect its Amazon Echo data. Back in November 2015, Victor Collins was found dead in the hot tub of his friend, James Andrew Bates, as reported by the BBC. The evening of Collins’ death, the two were allegedly using an Echo to stream music, which has lead detectives to believe that Amazon may hold data which could help them solve the case. In a motion filed by Amazon’s lawyers, the company said, “Given the important First Amendment and privacy implications at stake, the warrant should be quashed unless the Court finds that the State has met its heightened burden for compelled production of such materials." In other words, Amazon is pushing back hard against the motion in the same way as Apple did in the San Bernardino iPhone case. But what data does Amazon actually hold from an Echo? 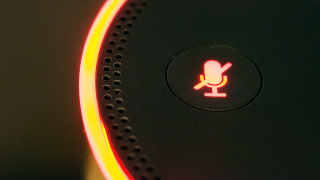 The Echo only begins recording when its wake word (‘Alexa’ by default) is said. In theory this means that the only data Amazon holds is a record of your past commands and searches, and none of this is stored locally. But as anyone with an Echo can attest, the speaker has a habit of mis-hearing other words as ‘Alexa’ and waking when you don’t expect it to. It’s this occurrence that detectives are hoping to make use of. They’re hoping that the speaker may have inadvertently activated itself and recorded a key piece of evidence. Everyone can agree that finding the cause of Collins’ death and bringing those responsible to justice is a noble aim, but Amazon’s stance is an important one if people are going to trust having ever-listening speakers present in their home. As with the San Bernardino iPhone case, this has the potential to turn into a long and very ugly court case with the potential of establishing an important precedent for the future. However, with no data stored locally on the device law enforcement officials won’t be able to access the information without Amazon’s help. Check out our full reviews of the Amazon Echo and Amazon Echo Dot.